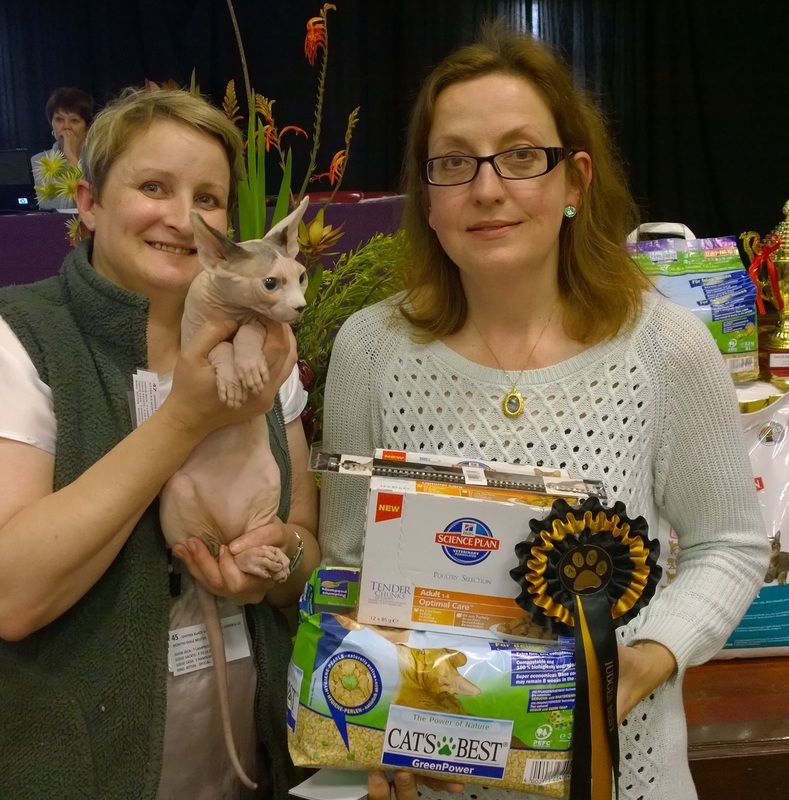 On 22 August 2015, AICA joined the SACATS Breeders Group and CASA and held the first Cat Show at the Brackenfell Civic centre. A new venue with lots of space and light and ample parking. Surprisingly we had lots of visitors and Sandy Gunst, who was our dedicated door lady, while also doing very well as exhibitor did a splendid job and collected a substantial amount. The article in the Tygerburger, submitted by Alida Delport helped a lot to advertise the show. It was a lovely clear day and most enjoyable. This was the 50th show of CASA and all the exhibitors and show officials enjoyed the lovely buffet meal served by Russel Spargo, together with a glass of bubbly. We were privileged to have to overseas judges at the event. Pam de la Bar, CFA judge from the USA and Satu Hamalainen Fife judge from Finland. Hills and Cats Best were generous with their sponsorship and the lovely rosettes by Rushfords were as popular as always. Well done and congratulations to all the winners - may there be many more of these successful shows. Content Copyright - African Independent Cat Association. Webdesign and Layout co-ordinator - Mistbesque Web Design.